Deep in the heart of upstate New York, far from the maddening rush of Manhattan, is a small, unassuming hamlet called West Saugerties. 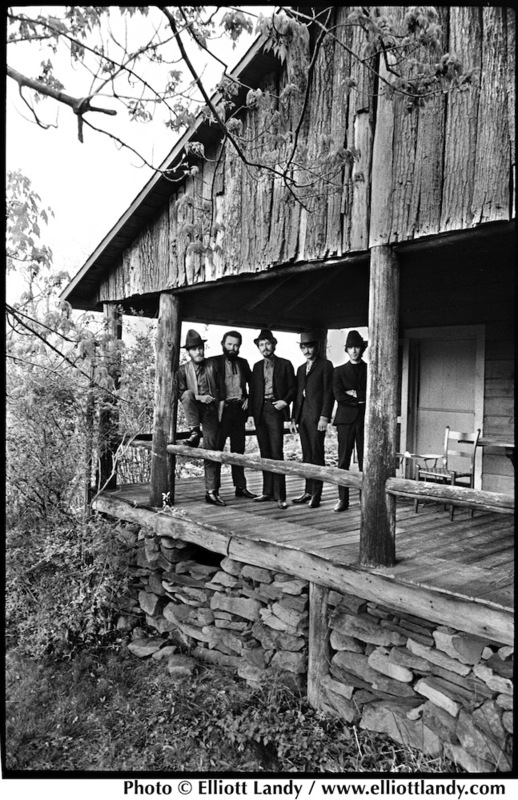 Arriving in the former lumber town in 1967, musicians Rick Danko, Richard Manuel and Garth Hudson were merely the latest creative minds drawn, like moths to a lamp, to the inspiring vistas of the surrounding land, which was home to a thriving community of cultural pilgrims who’d escaped the confines of the city. 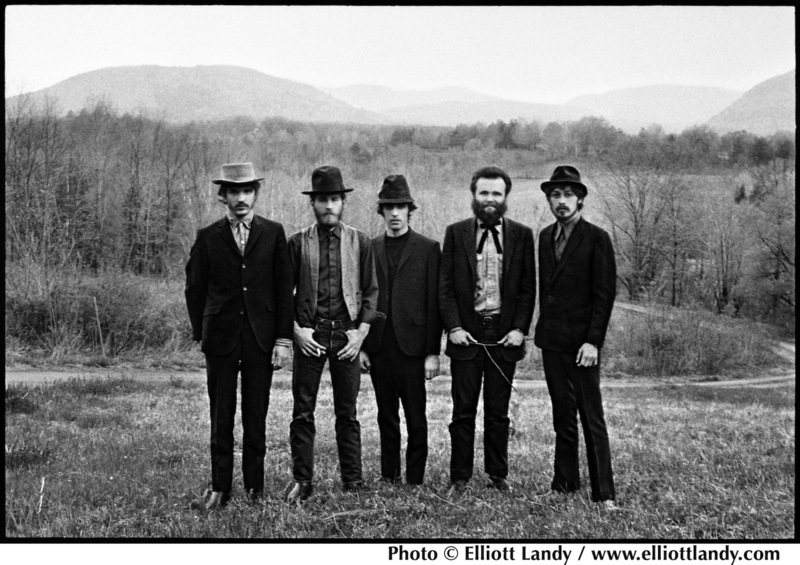 They were perhaps unaware of the fertile and prolific output of Ulster County, which boasted America’s oldest art colony and a population that included numerous poets and painters, but they had accepted the invitation to relocate there at the request of Bob Dylan, whom they’d recently toured and recorded with. Dylan had first moved to the area in 1963, choosing a home in neighbouring Woodstock as a refuge of tranquility amid the growing pressures of fame. It became a permanent base for him as he recuperated from a serious motorcycle accident in 1966, and after a period of convalescence, he was preparing to make a formative return to music, so reached out to his compassionate comrades. Together they had fought a valiant yet destructive battle - when The Hawks, as they were collectively known, had brought to life the grand, electrified visions of Dylan’s thin wild mercury sound that was manifest in his 1966 masterpiece ‘Blonde On Blonde’, they were roundly derided, booed on a nightly basis, and regularly accused (alongside Bob himself) of ruining Dylan’s art. It became too much for drummer Levon Helm, who quit in a fit of despair. The Hawks were a powerful and stage-hardened rock and roll band, who’d been brought together by rockabilly singer Ronnie Hawkins as his own backing band, and after venturing out on their own naturally held reservations about working behind another bandleader. 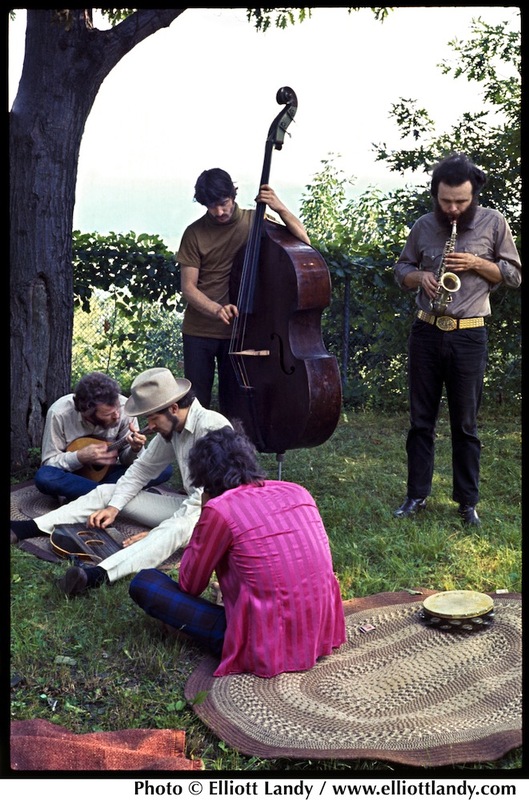 But working with Dylan had been different; firstly, they were all the same age, and enjoyed all the things that travelling musicians in their 20s would indulge in. Secondly, he had an incredible and influential impact on their own musicianship - most especially on the songwriting development of guitarist Robbie Robertson, who studied at the right hand of the acerbic bard. Left at a loose end after Dylan’s accident and reduced to a quartet, The Hawks toiled away in New York City hustling for their own deal, intent on striking while the iron was hot with the Dylan association and forging their own path. But as the all-consuming, abrasive growth of the city forbade them the space and freedom to evolve the lessons they’d learned, it was clear that their landscape had to broaden. Robbie had in his mind a clubhouse where the group could play and progress freely. They just had to find it. Convinced by Dylan that the expanse of the Catskills could offer them room to breathe, they sought their new hub there. As Robbie and his wife picked a home on the Glasco Turnpike by Saugerties, his bandmates notified him of a salmon-hued split level house they’d found four miles away on Parnassus Lane in West Saugerties that enjoyed stunning views of Overlook Mountain. It was big enough to house the three of them, they told him, and its basement had the makings of their own underground rehearsal room. Once a tape machine was installed, the basement became a makeshift studio where the group and Dylan could congregate and record their musings, although the concrete walls and low ceiling hardly made for the ideal recording environment. There in the basement, Dylan led the musicians on a fantastic voyage of productivity, pulling out cover versions to jam on and writing a vast batch of songs - sometimes in collaboration with members of the group - designed to be shared out through his publishing company for other artists to perform. Feeling incomplete, the group lured Levon Helm back into the fold, inciting his curiosity with a tangible excitement for this new project. It was time for The Band to prove themselves independently on vinyl. Dylan’s manager was now looking after them, and had got them signed to Capitol Records. They’d amassed a wonderful set of songs that took their cue from the homespun settings, Dylan’s masterful storytelling, their rustic surroundings, and the myriad characters they’d encountered up to this point. For a professional release, however, they couldn’t be put to tape in the house. The Band had to move to a proper studio (A&R in New York, and then Capitol in LA), but decided to bring the basement with them. Setting up their equipment in a circle, The Band were recreating the intimacy through which their music was created, where eye contact and subtle signals were essential. Though it sounds a logical method for recording, at the time it was unheard of, and the studio engineers balked at the notion. On July 1st 1968, their completed debut was released. It was titled ‘Music From Big Pink’ simply because that’s what it was: an album directly influenced by and borne from its homestead. Just as The Band had intended, the music was in stark contrast to the times - its humble, rustic country soul charms were understated in comparison to the kaleidoscopic intricacy of psychedelia or the throbbing might of the emerging heavy rock scene, but it had its own captivating depths that were a joy to be mined. Just like The Band itself, ‘Music From Big Pink’ feels like a democratic enterprise, where each member of the group is allowed to shine and showcase their assets. Though Richard was considered within the band as their lead singer, they would all share vocal duties on this record. 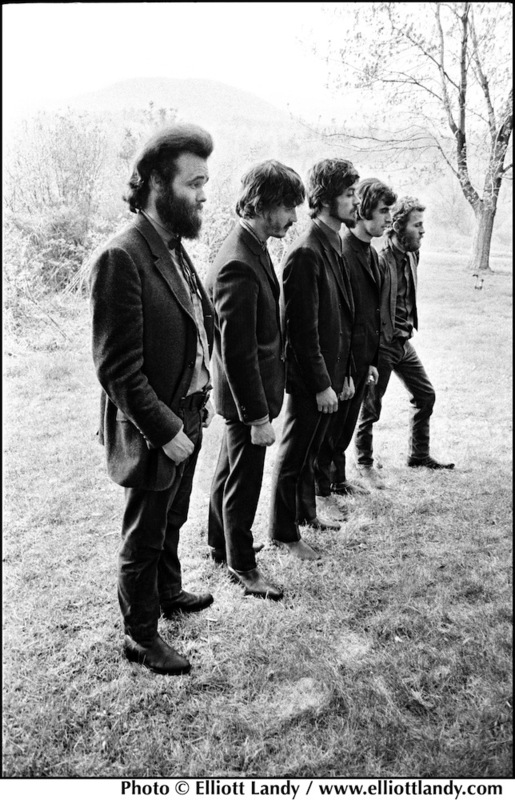 Rick Danko’s bittersweet tones were used to great effect on the oblique ‘Caledonia Mission’, the mournful ‘Long Black Veil’ and the rousing ‘This Wheel’s On Fire’, for which he provided the musical arrangement to Dylan’s portentous lyrics. Always a hesitant vocalist, preferring to let his bandmates bring his songs to life, Robbie did take the lead on ‘To Kingdom Come’, a song that resonates with religious and dark gothic undertones. Garth Hudson’s incredible virtuosity is felt throughout ‘Music From Big Pink’, his keyboard flourishes adding ingenious hues and dimensions to every track, but it’s in ‘Chest Fever’ that he truly stands out. The song is prefaced by a majestic and imperial organ introduction - performed live, this would be extended to form its own entity, ‘The Genetic Method’, as Hudson’s solo showcase. Richard’s emotive voice naturally dominated the album, but this was also because he wrote - or was involved in writing - many of the songs. ‘Music From Big Pink’ was the only album for which his contributions were so accomplished, as over time, despite encouragement from Robbie for a songwriting partnership, his lyrical input would diminish over time. Here, Richard is exquisite on the meditative ‘In A Station’ and the heartbreaking ‘Lonesome Suzie’. 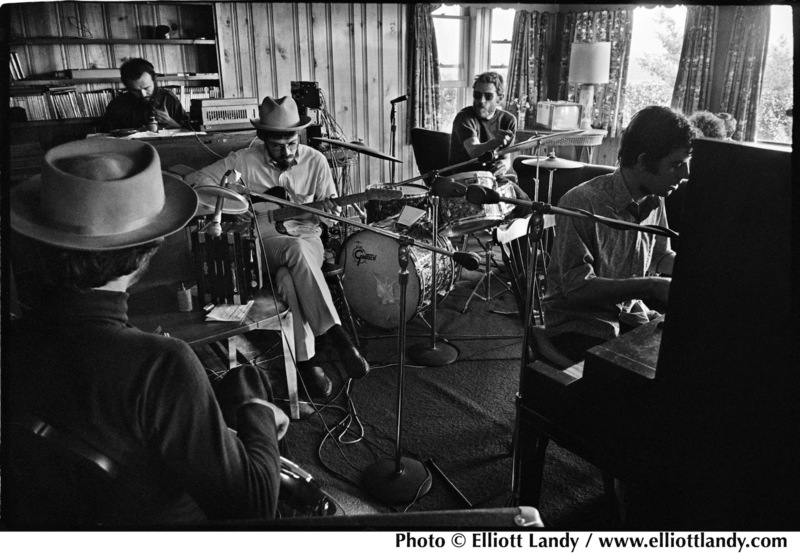 He’s commanding on ‘We Can Talk’, his voice up front in the scintillating mix alongside Rick and Levon’s - The Band’s trademark sound captured right there in that distinctive trio blend. He is absolutely perfect on the record’s sublime finale, ‘I Shall Be Released’, Bob Dylan’s remorseful plea for redemption. The album’s undisputed highlight was a cryptic tale of exotic characters encountered on a traveller’s journey. ‘The Weight’ featured Levon Helm’s only lead vocal on the album, but his rural Arkansas drawl (Helm being the only American in the Canadian group) was essential to the song’s southern heart. It encompassed imagery and religiosity from the US Bible Belt, the strains of country music, and, in the glorious harmonies of its layered chorus, the fervent sound of gospel. Levon sings of Anna Lee, Carmen, Crazy Chester and, of course, Fanny, to whom he implores to “take a load off”, and though we don’t quite understand where he’s going or what he’s doing, it’s an incredibly compelling and vivid narrative. ‘Music From Big Pink’ didn’t race to the top of the charts, but the impact it made on those who heard it was significant and consequential. It’s well known that Eric Clapton heard its self-effacing grooves and promptly broke up the bombastic Cream, favouring the pastoral route of Blind Faith and Delaney And Bonnie instead, while George Harrison, suffocating in the restraints of The Beatles, coveted the communal sensibilities prevalent in the songs’ shared responsibilities. It’s no coincidence that just a couple of months after his visit to Woodstock, where he spent Thanksgiving at Dylan’s house socialising with The Band, he’d walk out on The Beatles, realising that heightened tensions within a group were not the norm. 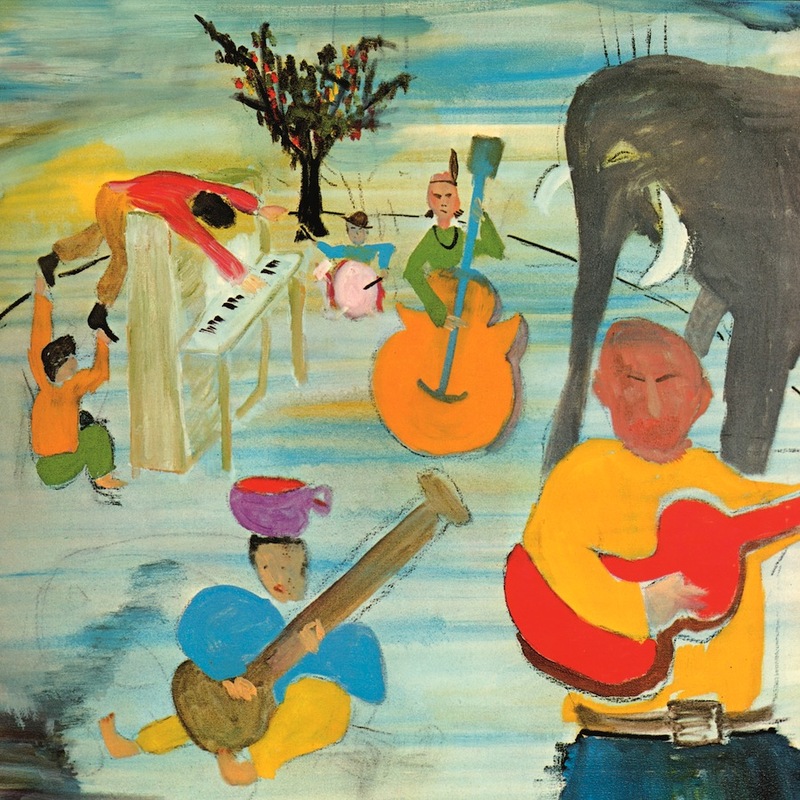 Fifty years later, ‘Music From Big Pink’ is rightly regarded as a monumentally influential album. Along with The Byrds’ ‘Sweetheart Of The Rodeo’, which followed a month later, it was a foundation stone for the country rock movement of the ’70s, while The Band’s camaraderie and homemade methods have been embraced by countless acts in the decades that followed. The Band’s ‘Music From Big Pink’ 50th Anniversary Edition Super Deluxe is out now.